As many of you know, we here at JoypadAndMe love video gaming in all its forms both current and retro. Over the past couple of years or so I have been falling deeper into the love affair with retro gaming. 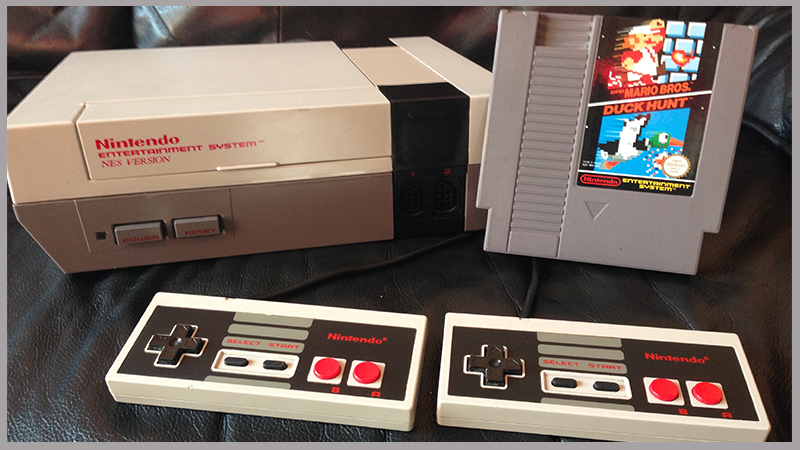 I thought it would be a good time to chat some about retro gaming love. Anyone that has listened to our podcast here at JoypadAndMe will have heard about my retro gaming antics including the compulsion to buy consoles and games (some great classics, some not so much). This is not something that I had intended on getting into with my gaming but somehow it kind of happened. I shall try to explain how. I initially intended to keep my gaming up to date, focusing on the games for the console of choice at the time, the PlayStation 3. I was building up a nice selection of games both physical and digital but something was missing. Whilst reviewing games for the site and chatting about games and franchises on the podcast, it became clear that some games were missing in my knowledge, games from previous generations. For instance I had never played a Metal Gear Solid title much to the amazement and sacrilegious looks from my fellow staff members. I also began longing to play certain games from my early gaming time due to fond memories or the challenge of completing an old classic or purely just to have a chance of playing one that I never had a chance to in the past. I had always been a PlayStation fan right from the launch of the initial PS1. I distinctly remember going down to my local video rental store to rent a console and games each weekend until I could afford to buy a console myself. An oxymoron if ever I knew one as I probably spent the same amount renting the console as buying it but I had to play it right then and there. Before my times with PlayStation, like many I owned a Super Nintendo, one of my all time favourite if not the number 1 favourite console ive played on. The only reason for this statement for me is because of the fun times I had playing it on my own and with friends. I had played Sega’s as well but Nintendo was my gaming choice before PlayStation came along and took me over. So what has this trip down nostalgia avenue got to do with anything? Well in fact its the whole point. I wanted some of that back. I began innocently enough. Buying a PlayStation 1 and a copy of Gran Turismo 1. The memories came flooding back with muscle memory following soon after. Tracks were familiar, cars were remembered and fun times beating the licence tests were recalled. Then the mind started to speed up and go into overdrive, remembering other games I used to enjoy and started to want to get hold of. I should point out that my original consoles are all but lost to me for a number of reasons ranging from psychotic ex’s, parents that have no idea what happened to some and general wear and tear on others. The only survivor from my gaming past was my original launch PlayStation 2 and a couple of games hidden in the loft. This meant that for me to reclaim my youth and to build my collection I would have to go searching. Obviously the PlayStation 2 came straight out of the loft but it needed more games. More games included Gran Turismo 3 and 4. While searching for those online I came across others in the GT franchise including a limited edition GT4 collectors edition, one of only 4000 made and due to someones typo on an online auction site it went for far less than what it should have. Soon after I had all the GT titles out there and so my attentions turned to other games. In the mean time there was also some movement on the console front. While searching online for a couple of PlayStation 1 memory cards, I came across a few auctions going for low prices including one for a console and controllers, a couple of games and the memory cards that I was looking for. Needless to say this was soon delivered to my door. Another PlayStation 1 arrived in similar circumstances as it came with games I was looking for at the time cheaper than some people were selling the game on its own for. This made for 3 PS1’s and my PS2. During a walk to the local chip shop in the pouring rain one evening I came across my luckiest find. Walking past a newly sold house I saw a skip with many boxes thrown in there, obviously emptying the house ready for the new people to move in. In this skip was a large box with an N64 controller hanging out. 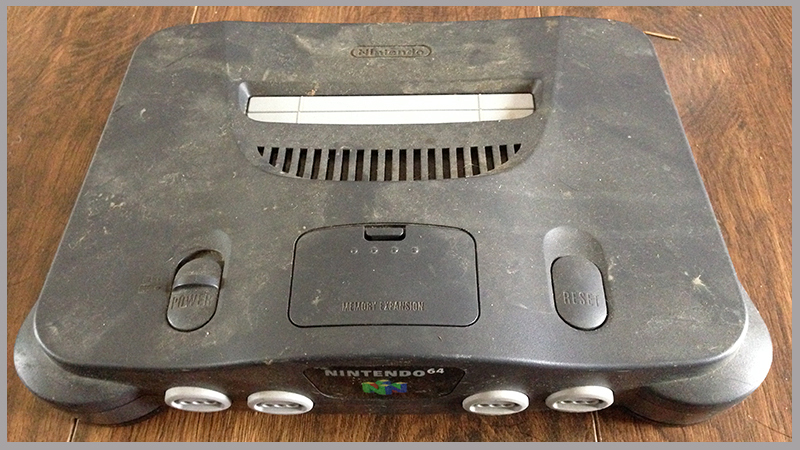 A little closer look showed there was in fact a complete N64 with controllers and a couple of other gaming related bits. The problem was however that the box was half full of rain water. I ignored it and went on my way. On my way back I passed the house again and thought to myself that I could always take a look and see. I chatted to the new owners and they said take what I wanted so I arrived back home with the chips that I originally went out for plus a large wet box full of gaming crap. The crap comment came from the fiancé who must have thought I was some kind of nerdy Jack from the giant Beanstalk story, going out to the shop and coming back with god knows what else. Well I was indeed Jack and i had indeed found some magic nerdy beans. In the box there was in fact a Nintendo N64, a PlayStation 2, a Gameboy Advance, a PlayStation 1 and a bunch of controllers and a couple of N64 games plus a shed load of twisted wires. Great, an amazing find but they were all water-logged. left out in the rain for hours before I decided to rescue them. None of these would work surely. I decided to find out. Out came the screwdriver set and I opened each of them up in the hope that a little drying off might bring one or two of them to life. I decided that I didn’t really want to try out the power packs that came with the box and some of the wires looked as though they had seen better days so I swapped them out for some I had laying about (all gamers and nerds in general have a box full of wires for just such an occasion right?) and after some drying and a bit of cleaning a miracle happened. 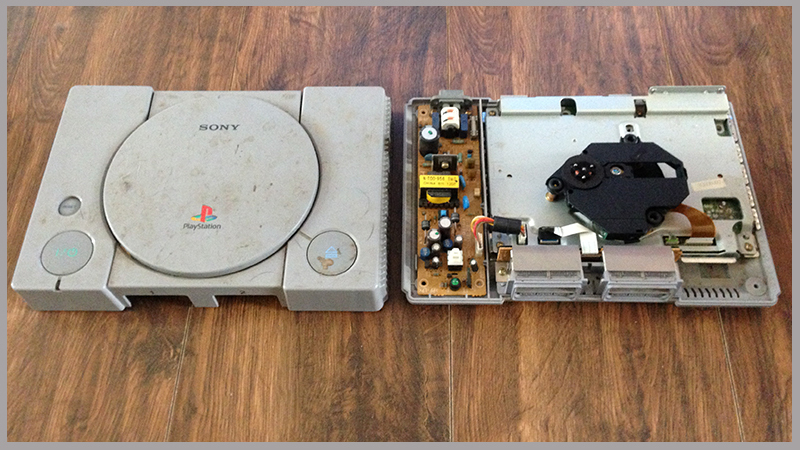 First the N64 fired up with no problem and then so did the Gameboy and the PlayStation 1. The only one that failed to fire up was the PlayStation 2. I decided to keep it around anyway as it might come in handy for spare parts or something. A night spent on eBay saw the postman deliver many games for the consoles over the following week. Classics such as Starfox, Mario 64, F-Zero X and others to name but a few. Even the fiancé had to admit that this was a good find as she sat and played some nostalgic Mario. Being a social media tweeter and Facebook bore I of course posted these finds online and friends did their usual ‘likes’ etc but nothing else happened for a while. One afternoon a friend of mine messaged with the opening line, “you like that old gaming stuff don’t you”. What she had to say was that someone she knew had a Nintendo for sale and wondered if I was interested. I of course said yes and asked what it was. I was told a Nintendo with a box with the asking price of £25. I got the price down to £15 site unseen and picked it up the next day. What had I bought? well it was a mix. It was an original NES but it was in a Super Nintendo box. Strange but for £15 I wasn’t about to complain. After getting home I almost did though. A fiddle around with wires and such to set the system up and I fired it up ready to play Mario to find that the red light on the front was blinking. Whats this i thought? Surely not a red light of death, were there such a thing as a red light of death for the classic console? I had no idea but after a quick look on the net showed me that it was. I also found the fix, a new 72 pin connector and it would be up and running. I fitted the new part and lo and behold it worked. I felt like dr Frankenstein…..IT LIVES! Again, a night spent on eBay and the postman was yet again delivering parcels to my door for a week. The retro collection was really starting to build. There was something so satisfying to owning all these consoles. Part collector adding to my collection, part restoration repairing and saving these classics of the gaming world, part gamer opening up the ability to play more games. Having a NES was the highlight so far in this collection. Having not owned one before and having very little time playing on one in my past gave me the ability to really enjoy this amazing piece of gaming history. Sure, the graphics are nowhere near what we can expect from a game nowadays, and the controller is not exactly the most ergonomically designed but it is an amazing piece of kit. Simple, honest games that relied on hooking your imagination with a catchy ability or engaging story (for its time) or even the most retro of things, the chip tune soundtracks. All of this just makes it a jewel in my collection. The collection however urged me to carry on. It almost called to me to bring it more offerings. You could almost hear them calling out to me as I entered the room, “Make us complete”, “Bring us more”. Ok, im starting to sound a little crazy now but then again I think that most retro collectors have to be. With all the top of the range, super powerful computers and consoles out today, who in their right mind would spend large amounts of money on 30 year old pieces of technology prone to failure? Retro gamers that’s who. In the second part to this, I will carry on with the growing collection. Some lucky finds as well as an ever-increasing love of the retro scene. Untill then I bid you farewell and maybe suggest that you see what you might have hiding away in your cupboard or attic. You might just find your love affair with the retro gaming world.